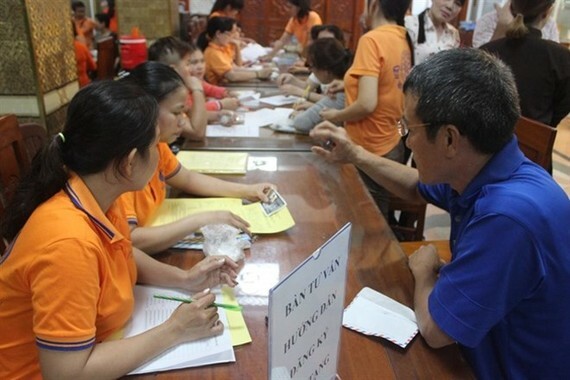 As many as 527 people voluntarily registered to donate their body and organs after death at a recent event held at Giac Ngo Pagoda in HCM City. The November 25 event to register donation of their body and organs for science was part of a programme called Hanh Trinh Chung Tay Vi Su Song (Public Journey for Life). Truong Ngoc Hanh of District 8 told Vietnam News Agency Television (Vnews) that after death her body could be useful to medical students like her son, a senior student at Pham Ngoc Thach University of Medicine. Nguyen Huy Thong of District 11 said he registered because organ donation is a “noble” activity. 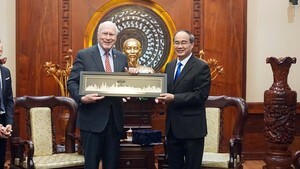 Buddhism Today Foundation, Pham Ngoc Thach University of Medicine, and the Vietnam Society for Encouraging Body and Organ Donation. Last year 499 volunteers had registered. Three years after the programme began, the number of volunteers at the pagoda has topped 1,300, accounting for a third of the total number countrywide. One person’s donation can save seven to 13 patients who need organs. Prof Dr Trinh Hong Son, deputy director of Vietnam-Germany Hospital and head of the Vietnam National Coordinating Centre for Human Organ Transplantation, said the centre has undertaken many activities to popularise the significance of organ donation to the public and persuade people to volunteer. If relatives of brain-dead patients want to donate the persons’ organs, any hospital in the country would help them contact the centre, the Vietnam-Germany Hospital in Hanoi or Cho Ray Hospital in HCM City, he said. According to ministry statistics, the country has 16,000 patients with failed lung, liver or heart and 300,000 others waiting for cornea transplants.